Another powerful Alternative Rock band is going to shake your players. 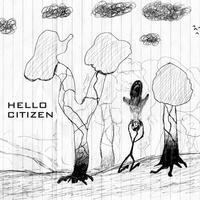 Hello Citizen generously released their 1st album for digital download on January 20, 2009. This self-titled album is filled with massive guitar riffs and superb, melodic reverberation. If ever you found yourself in a situation desperately looking for a refreshing, new Rock album, then this one is really worth the download. And undeniably, the tracks will soon be seen and listed in your iPod’s ‘Top 25’ playlist. Hello Citizen does not only surprise you with this self-titled album. I mean, you will agree that the tracks in this album really do sound alike with known and professional artists. But, let me tell you, the surprise doesn’t end there. Ben Wolman is not only the vocalist of the band, he’s also the guitarist, drummer, bassists, lyricists, arranger, and everything else. YES, HELLO CITIZEN IS A ONE MAN BAND! Among all the songs, See You Soon and Remembering caught my attention and, thus, my picks from this album. Besides from having an interesting guitar play and beat, the lyrics are absolutely something. Hello Citizen obviously has an advantage compared from other artists. Ben Wolman’s extraordinary talent will surely bring Hello Citizen’s name to every music page known in the World Wide Web. Make sure to listen to this great album. Hello Citizen’s second album, “Play This At My Funeral” is also available for digital download in Hello Citizen’s official website. This work is licensed under a Creative Commons Attribution-Noncommercial-Share Alike 3.0 Unported License and is available as a free download from the band’s website.